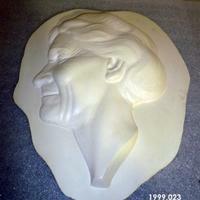 Plaster portrait relief of Mary Rackham. 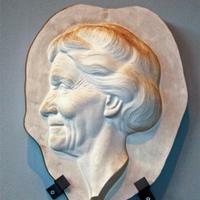 Portrait is of an elderly woman with wrinkles on her face. 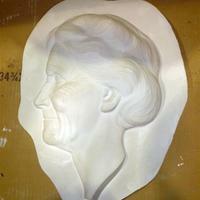 The edge has been cut closely around the portrait.